Cardiff Bus is alerting customers to diversions to services on Saturday 7th February ahead of the Wales vs Scotland Six Nations game. Due to road closures in place across the city, as a result of the rugby match in the Principality Stadium, buses will divert from 10.30am until 5.30pm. Services 1, 2, 13 (to Sports Village), 8, 9, 9A (to Cardiff Bay or Sports Village) will start and end at the terminal point on Canal Street. Services 1 and 2 will not serve the rear of the Central Railway Station (stops JM & JN) from 10:30 until the end of service. The Baycar service 6 will start and end at the terminal point on Customhouse Street (stop JG) only and will not serve the city centre loop or rear of Central Railway Station from the time the roads close until the end of service. Services 13 (to Drope), 15, 17, 18, 25, 54 (to Channel View) 61 (to Pentrebane), 63, 64, 66, 95 (to Barry), 95A, 95B, 96, and X91 will start and end at the terminal point on Tudor Street. Services, 21, 23, 24, 27, 28, 28A, , 30, 35, , 53, 54 (to Cyncoed) 86 and 95 (towards Heath Hospital) will start and end at the terminal point on Greyfriars Road. Services 8, 9, 9A to the Heath Hospital, , 44, 45, 49, 50, 51, 52, 56, 57, 58 and 61 (to Pengam Green) will start and end at the terminal point on Churchill Way. Between the hours 10.30am – 5.30pm services 92, 93 and 94 will start and end at the terminal point on Customhouse Street. Customers are advised to check Cardiff Bus’ website where a full list of diversions are available. 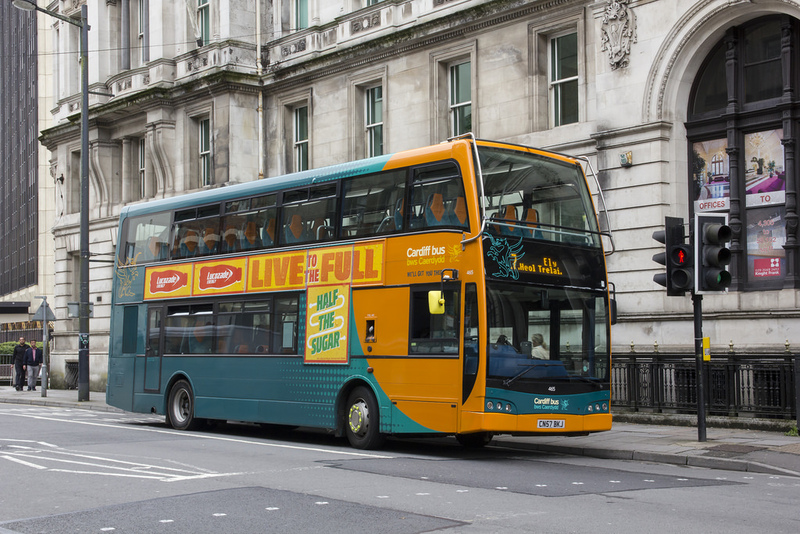 Gareth Stevens, commercial manager at Cardiff Bus, said: “Road closures inevitably cause diversions to our services in the city centre and we apologise for any inconvenience that this may cause our customers.